Plan to get a napoleonic board game soon for "min 3 players" ! Any suggestions anyone ? or anyone played any of the ones below that i found on internet for more than 2 players ? The first expansion set for Blücher. Boxed set of 216 full-color heavy playing cards. A boxed set of 216 beautiful, full-color heavy poker-sized cards. 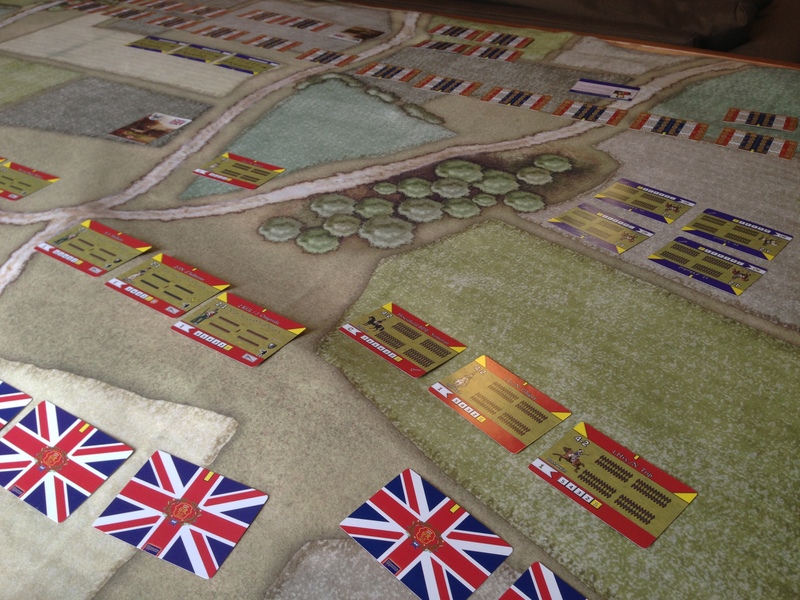 This set provides unit cards for all of the armies in the 1815 campaign: the French, Prussian, and Anglo-Allied. It includes many units that never fought in the battles but could have. Three complete armies for the price of a box of miniatures! The set also includes several useful cards for a full Hundred Days campaign: personality cards for prominent commanders, objective cards, and others. This is an expansion set for Blücher. You must have a copy of the Blücher rulebook in order to use this product. Blücher is a tabletop game of great battles in the Napoleonic Wars. Scharnhorst does away with the traditional wargame roles of “attacker and defender.” The players script the battle with their own choices of maneuver and objectives, and the fortunes of the campaign may change dramatically once the fighting is underway. The downloads page offers blank unit templates for players to create their own. Or you can purchase professionally-printed cards for the different armies. 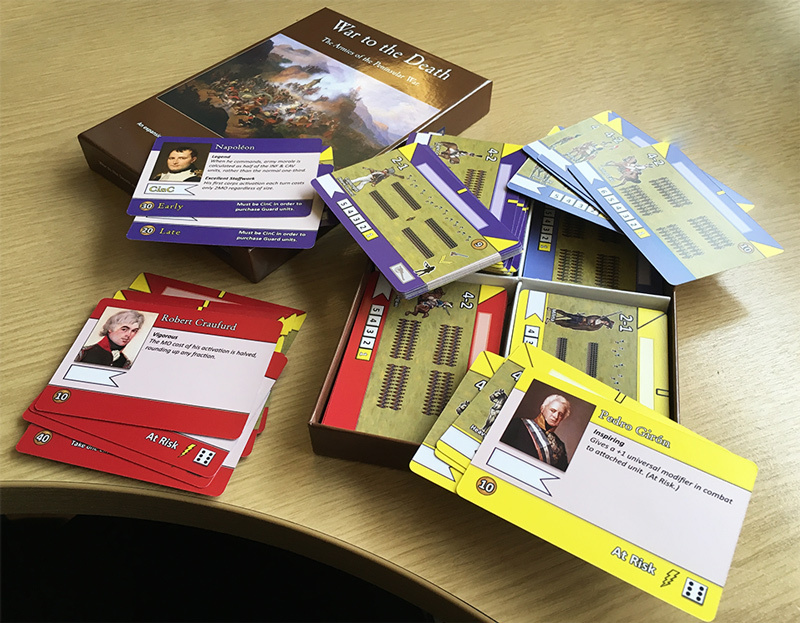 There is also a set of cards for the Hundred Days Campaign, with all the units of the three armies (French, Anglo-Allied, and Prussian) ready to play. Holy Mother Russia: the armies of the Russian Empire. These are the Russian unit cards for BLÜCHER: all of the maximum numbers of units, plus twelve each of the unlimited unit types, plus all officers. Total: 58 cards. Kaiserlicks: the armies of the Habsburg Empire. These are the Austrian unit cards for BLÜCHER: all of the maximum numbers of units, plus twelve each of the unlimited unit types, plus all officers. Total: 67 cards. König und Vaterland: the armies of Prussia, both early- and late-war. These are two armies of the Prussian unit cards for BLÜCHER: both early- and late-war. This set includes all of the maximum numbers of units, plus 10-16 of each of the unlimited unit types, plus all officers. Total: 95 cards. These are the Ottoman unit cards for BLÜCHER. This set includes all of the maximum numbers of units, plus 16 of each of the unlimited unit types, plus all officers. Total: 76 cards. looked at many options for playing large scale battles and agree this is the one! Lord Ashram your war room is seriously impressive btw! Sloop wrote: Cool. A far cry from the hexagonal super complicated 30 page rule book mega board games of 30 years ago, but still cool. Still have some 15 boxes of Clash of Arms La bataille series board games in my cellar. Never played one but just deploying counters is sometimes a bless, you know others like to make puzzles. Lord Desaix wrote: Still have some 15 boxes of Clash of Arms La bataille series board games in my cellar. Never played one but just deploying counters is sometimes a bless, you know others like to make puzzles. 300+ titles in my storage shed, perhaps 30 are Napoleonic. Unbelievable how much work they were but we did not know anything else. Even if you do find an opponent they are impossible, too much work to play now that we have the ease of computers. So this card game looks possible.